It might look like a stealth fighter, but this dramatic example of Aston Martin’s DB11 AMR didn’t fly under anyone’s radar during its time in the CarsGuide garage. Forget the Duke and Duchess of Sussex, this piece of British royalty caused jaws to drop and camera phones to rise more effectively than any mere ginger celebrity or ex-TV trouper. AMR stands for Aston Martin Racing, and this performance flagship replaces the ‘standard’ DB11, delivering even more fire under the hood and fury from the exhaust. Aston also claims it’s faster, dynamically superior, and sleeker on the inside. In fact, the DB11 AMR’s 5.2-litre twin-turbo V12 now produces enough grunt to accelerate it from 0-100km/h in just 3.7 seconds. More than just a flash Harry, then? Let’s find out. This car has some seriously big shoes to fill - think Ian Thorpe size, but bigger. It’s Audi’s new, second-generation RS 5 Coupe, the Bavarian maker’s mid-size performance flagship, sitting above the S5, and on paper it’s a clear step ahead of the model it replaces. 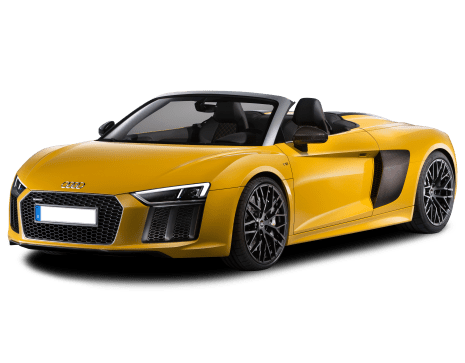 It’s powered by a 2.9-litre, twin-turbo V6 pumping out enough kilowatts to power a small town, and features a new eight-speed Tiptronic auto, sending drive to all four wheels via Audi’s latest generation quattro system. Sitting on the VW Group’s MLBevo platform, it’s around 60kg lighter, and more fuel-efficient, yet able to blast from 0-100km/h in less than four seconds. The thing is, the last RS 5 had something this new rocket ship doesn’t; a superbly sonorous, 4.2-litre, naturally aspirated V8 sitting in its nose. I straight-up loved the out-going RS 5, bonding with it over thousands of kilometres here and overseas. Up and down Europe’s most challenging alpine passes, and in a previous life, knocking over a story where we drove through eight European countries in a single day. This new RS 5 produces the same number of kilowatts as the old atmo hero, but adds roughly 30 per cent more torque. The question is, can it match or better its older counterpart on that most intangible parameter – charisma? The Aston Martin DB11 AMR is fast, capable and beautiful. It has a unique character and charisma its Italian and German competitors can’t match. That said, some important media and safety-tech features are absent. So, it’s not perfect... just brilliant. Is an Aston Martin DB11 AMR on your sports car wish list? Tell us what you think in the comments section below. While it may not sound as good as the outgoing model, the new RS 5 is blindingly fast, outstanding dynamically and loaded to the gunwales with standard features and tech. A step ahead on paper, and in reality. It’s a brilliant, and yes, a brilliantly charismatic package. Has Audi done enough with the new RS 5 Coupe to out-gun its primo performance coupe competitors? Tell us what you think in the comments below. For a while there it looked like Aston Martin had fallen into the ‘everything looks the same’ trap, with Ian Callum’s breakthrough DB7 design in the mid-‘90s writing the script for the DB9 that followed, and heavily influencing everything else in the brand’s subsequent portfolio. But in 2014, Aston’s design chief Marek Reichman sent a message with the DB10 Concept that things were about to change. James Bond had Q and MI6 to thank for his DB10 company car in Spectre, but real-world Aston Martin customers were soon offered the DB11, which combined the muscularity of Reichman’s work on the ultra-exclusive One-77 from a decade earlier with the swooping, long-nosed proportions of his track-only Vulcan hypercar. The hallmark of a well executed 2+2 GT is that it looks bigger in photos than it does in reality, and the DB11 is a perfect case in point. Appearing limo-sized in our accompanying images, the DB11 is in fact 34mm shorter end-to-end than a Ford Mustang, but it’s exactly 34mm wider, and no less than 91mm lower in overall height. 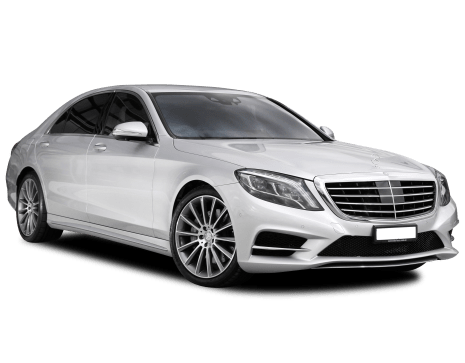 And as any fashionista worth their salt will tell you, dark colours are slimming, and our ‘Onyx Black’ AMR, with gloss black 20-inch forged rims and black ‘Balmoral’ leather interior accentuated the car’s tightly drawn, shrink-wrapped surface treatment. Signature elements in the shape of a broad, tapering grille, divided side vents, and sharply curved, two-level (smoked) tail-lights clearly identify the DB11 as an Aston Martin. 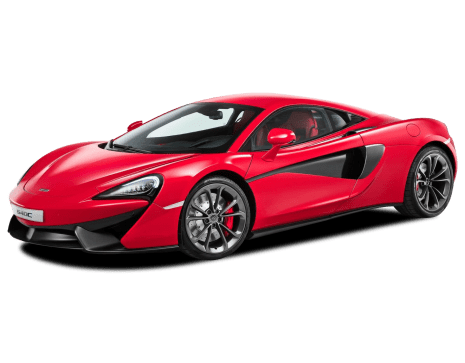 But the smooth integration of the car’s broad haunches (very One-77), gently tapering turret (optional exposed carbon) and flowing bonnet is masterful and fresh. The dash-to-axle ratio (the distance from the base of the windscreen to the front axle line) is Jaguar E-Type-esque. And it’s all subtly aero-efficient, For example, the door handles fit flush to the body, the mirror housings double as mini ‘wings’, and the Aston Martin ‘Aeroblade’ system channels air running from carefully crafted openings at the base of the C-pillar, through the rear of the car to generate downforce (with minimal drag) across a lateral vent on the trailing edge of the bootlid. A small flap rises at “high speed” when more stability is required. The interior is all business, with a simple instrument binnacle showcasing a central 12.0-inch digital speedo-within-tacho combination, flanked by configurable engine, performance and media read-outs on either side. Aston has form with squared-off steering wheels and the DB11’s is flat on the bottom and decidedly straight on the sides, affording a clear view of the gauges without compromising purpose. A leather and Alcantara trim combination is (literally) a nice touch. The teardrop-shaped centre stack sits in a slightly recessed section (optionally) lined with ‘carbon-fibre twill’, while the form and function of the 8.0-inch multimedia screen at the top will be immediately familiar to current Mercedes-Benz drivers, as the system, including the console mounted rotary controller and touchpad, is sourced from the three-pointed-star brand. A band of proudly illuminated buttons across the centre includes gear settings for the transmission and a winged stop-starter in the middle. Strange, then, that the plastic knobs on the adjustable air vents look and feel so cheap and bland. This a $400k-plus Aston Martin, where’s the knurled alloy? Other highlights include elegant sports seats trimmed in a combination of premium leather and Alcantara. Aston offers various levels of leather and our car’s black ‘Balmoral’ hide is taken from the top shelf. The key accent colour inside and out on our test example was a screaming lime green, picking out the brake calipers, centre strips on the seats, and contrast stitching throughout the cabin. Sounds awful, looks amazing. In developing the look of this car, Audi says its design team took inspiration from the ultra-wide-body Audi 90 IMSA GTO racer from the late ‘80s, driven to glory in the USA by the legendary likes of Hans-Joachim Stuck and Walter Rohrl. The RS 5’s cool, confident stance is the result, with the blistered guards, the detail vents clustered with the head and tail-lights, as well as other aero pieces echoing that track weapon. At just over 4.7 metres long, the new RS 5 is 74mm longer (there’s an extra 15mm in the wheelbase), and a single millimetre wider than the previous RS 5, but it’s still a full 15mm broader across the beam than the current A5 Coupe. The new car also wears a flatter, honeycomb version of the brand’s signature ‘Singleframe’ grille, and sits on bold 20-inch rims. The interior is luxurious, suitably racy, and black. The multi-adjustable RS sports front seats are trimmed in nappa leather with contrast stitching and quilting on the centre panels. A typically broad centre console is highlighted by brushed-metal elements with flashes of carbon dialling up the premium look and feel. The slick, 12.3-inch ‘Virtual Cockpit’ display dominates the view straight ahead, allowing you to switch between screens depending on the mood you’re in and what you want to get up to. While the 8.3-inch hi-res colour ‘MMI touch’ display sits proud of the centre dashtop. It's a subjective call, but I’m a big fan (no pun intended) of Audi’s approach to the front ventilation outlets, framed within a narrow, chrome-edged band, sweeping confidently across the dash. On one hand it’s hard to describe a supercar like the DB11 as practical when its primary purpose is to go ridiculously fast and look incredibly good in the process. But this is, in fact, a ‘2+2’ GT, meaning a couple of occasional seats have been squeezed behind the front pair to allow obliging contortionists, or more likely small children, to enjoy the ride. 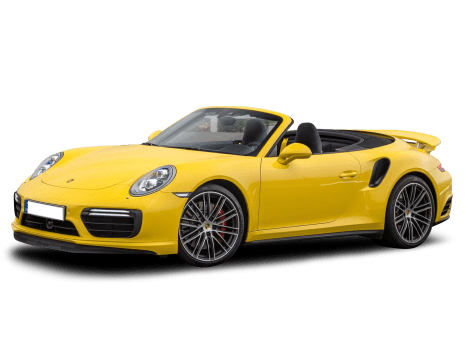 No one is claiming full four-seat capacity, but it’s a trick that has for decades made cars like Porsche’s 911 a more practical choice for high-end, high-performance sports car buyers. At 183cm I can verify the chronically limited space back there, without anything in terms of connectivity, specific ventilation or storage options provided. Good luck, kids. For those up front it’s a very different story. First, the doors are hinged to move up slightly as they swing out, which makes entry and egress a more civilised process than it might otherwise be. That said, those doors are still long, so it pays to pre-plan a workable parking spot, and the high-mounted, forward-facing interior release handles are awkward to use. Storage runs to a box between the seats, complete with a two-stage electrically controlled lid, housing a pair of cupholders, an oddments space, two USB inputs and an SD card slot. Then, there are slim pockets in the doors, and that’s about it. no glove box or netted pouches. Just a small tray for coins or the key in front of the media controller. And speaking of the key, it’s another strangely underwhelming part of the DB11 AMR’s presentation. 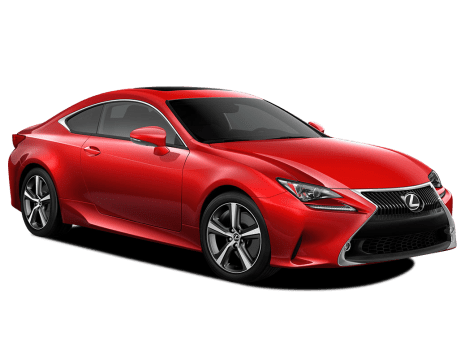 Plain and insubstantial, it looks and feels like the key to an under-$20k budget special, rather than the heavy, polished and glamorous item you’d expect to be subtly placing on the table in your preferred three-hat restaurant. Don’t bother looking for a spare wheel, an inflator/repair kit is your only option in the case of a puncture. The RS 5 is a classic 2+2, providing generous space for the driver and front seat passenger, with those consigned to the rear still enjoying comfy accommodation, including adjustable ventilation control (with digital display), but tight headroom courtesy of the tapered coupe roofline. Getting into the back is a moderate struggle, but once behind the driver’s seat, set for my 185cm frame, there’s surprisingly good legroom and decent space for your feet, but sitting fully upright meant twisting my head to an angle that would have any chiropractor rubbing their hands with glee. Cabin storage runs to a lidded bin between the front seats (with additional space in front), an average size glove box, front-door pockets able to hold standard water bottles, netted map pockets on the front seatbacks, and oddments trays in the rear. The cupholder count is strong, with two in the front and four in the back, and connectivity runs to two USB ports, an auxiliary-in socket, dual SD card readers, and two 12V outlets. There’s also a wireless charge bay for Qi-enabled devices if you opt for the ‘Technik package’ (more on that later). Sensor control means the boot unlocks and opens automatically (if the smart key is detected) with a kicking motion under the rear bumper. Load space with rear seats upright is 465 litres VDA (10L more than the outgoing model), and the rear seat backs split-fold 40/20/40 to enhance flexibility and open up extra space for longer or bulkier loads. There are four cargo tie down points and a luggage net supplied, plus a first-aid kit in a netted cubby on the passenger side, and another netted storage space (taking advantage of the space behind the rear wheel tub) on the driver’s side. The spare is a space saver. Head into the $400k new car zone and expectations are understandably high. The DB11 AMR’s is a continent-crushing GT after all, and you want your fair share of luxury and convenience features to go with its huge performance potential. For $428,000 (plus on-road costs), as well as the safety and performance tech (of which there’s plenty) covered in later sections, you can expect a lengthy standard features list, including a full-grain leather interior (seats, dash, doors, etc), Alcantara headlining, multi-function ‘Obsidian Black’ leather-trimmed steering wheel, electrically adjustable and heated front seats (with three memory positions), heated/folding exterior mirrors, front and rear parking sensors, and 360-degree ‘Surround View’ parking cameras (including front and rear cameras). Also standard are cruise control (plus speed limiter), sat nav, dual-zone climate control, the electronic instrument cluster (with mode-specific displays), keyless entry and start, a multi-function trip computer, 400-Watt Aston Martin audio system (with smartphone and USB integration, DAB digital radio and Bluetooth streaming), plus the 8.0-inch touch-control multimedia screen. Then there are LED headlights, tail-lights and DRLs, ‘dark’ grille, headlight bezels, and tailpipe finishers, 20-inch forged alloy rims, carbon-fibre bonnet vent blades and side strakes, dark anodised brake calipers and, to reinforce the car’s motorsport DNA, the AMR logo sits on the door sill plates and is embossed on the front-seat headrests. Apple CarPlay and Android Auto functionality is a surprising omission, but our test car more than made up for it with a motherload of optional extras including an exposed carbon-fibre roof panel, roof strakes and rear-view mirror caps, as well as ventilated front seats, the vivid ‘AMR Lime’ brake calipers, plus a ‘Dark Chrome Jewellery Pack’ and ‘Q Satin Twill’ carbon-fibre trim inlays to add presence in the cabin. Along with some other bits and pieces this adds up to an as-tested total of $481,280 (before on-road costs). Cost of entry to the Audi RS 5 Coupe club is $156,600 (before on-road costs); exactly $900 less than the most recent price for the superseded car. And what’s more, according to Audi, the vast majority of first-gen RS 5 Coupe buyers hit the options list hard, to the tune of around $24k-worth of extras on average (some people would buy another small car with that cash). 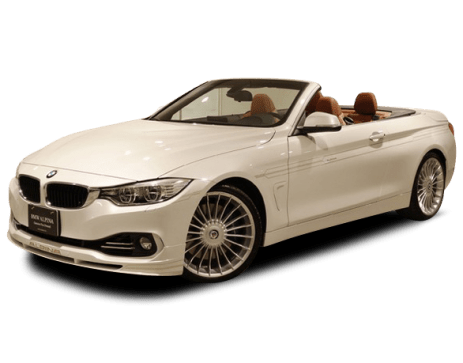 So, to surprise and delight prospective buyers of this new version, a whole lot of extra fruit has been piled onto the car’s standard equipment list… and yes, it’s loaded. Headline inclusions are three-zone climate control air (with ventilated glove box), ‘Dynamic Ride Control’ (with adaptive damper control), LED headlights (including LED DRLs), the nappa leather trim (door and side panel trim inserts in Alcantara), plus a panoramic sunroof (electrically tilting and opening, with electric sun shade). Then, the RS sport front seats are a story in themselves. Electric adjustment (with memory for the driver) is a given, but they’re also heated, feature pneumatic side bolster adjustment, electric lumbar support, a massage function, and manual extendable thigh support. But wait, there’s (a lot) more. The base price also includes an extended upholstery package, with the lower part of the centre console, door armrests and door pull handles trimmed in ‘man-made leather’, adaptive cruise control with ‘Stop&Go’ (including traffic-jam assistant and distance indicator), keyless entry and start, heated, folding and auto dimming exterior mirrors (with memory), plus LED tail-lights with dynamic (scrolling) indicators. There’s also privacy glass (dark tinted rear and rear side windows), a headlight washer system, an RS sport exhaust (with gloss black oval tailpipes), an anti-theft alarm (with interior monitoring, tow-away protection and tilt sensor), interior ambient lighting (with 30 selectable colours and five colour profiles), a frameless, auto-dimming interior mirror, plus door-sill trims with aluminium inlays and illuminated RS emblems. Okay, deep breath. Also included are ‘Park assist’ (helps steer the vehicle into parallel or perpendicular spaces), 360-degree cameras (four wide-angle cameras covering the area immediately around the vehicle for easier manoeuvring), auto headlights, rain sensing wipers, the ‘Virtual Cockpit’ (digital configurable colour instrument cluster), stainless-steel-finished pedals, and a flat-bottom, multifunction RS sport leather steering wheel. And now we get to the multimedia, including ‘Audi connect’ (Wi-Fi hotspot and Google services), Apple CarPlay and Android Auto support, and a Bang & Olufsen ‘3D Sound System’, with no less than 19 speakers, and 755 watts delivered via a 16-channel amplifier. 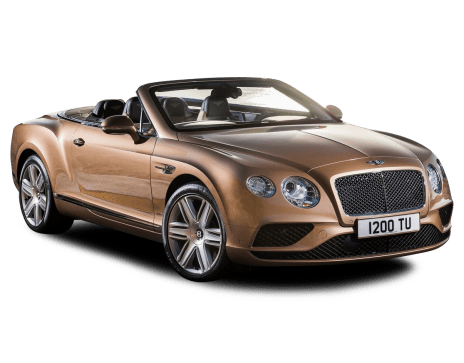 It also features DAB+ digital radio, ‘MMI navigation plus’, including an 8.3-inch high-res colour display, 10 GB flash memory, and integrated voice control. That’s a motherload of stuff, and doesn’t even consider the laundry list of standard active and passive safety tech covered in the safety section below. 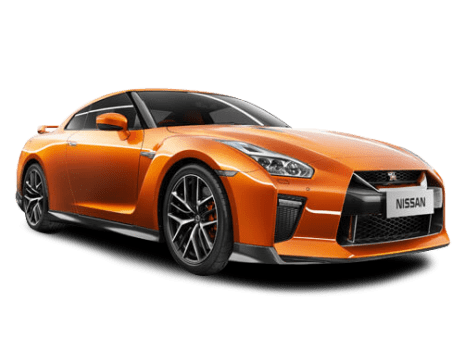 If all that isn’t enough, there are a series of individual options on offer, like a carbon-fibre roof ($4900), ceramic brakes ($11,900), and milled-finish 20-inch alloys ($1600). Or feature bundles, including the ‘Technik package’ (colour head-up display, ‘Matrix LED’ headlights, and more), and ‘RS Design package’ (‘Audi phone box light’ wireless charging for Qi devices, an Alcantara-trimmed steering wheel, extra leather, lots of red stitching, and multiple RS logos). The DB11 AMR’s (AE31) 5.2-litre, twin-turbo V12 is an all-alloy unit, tuned to deliver 470kW (up 22kW on the old model) at 6500rpm, while retaining the previous DB11’s 700Nm of maximum torque from 1500rpm all the way to 5000rpm. 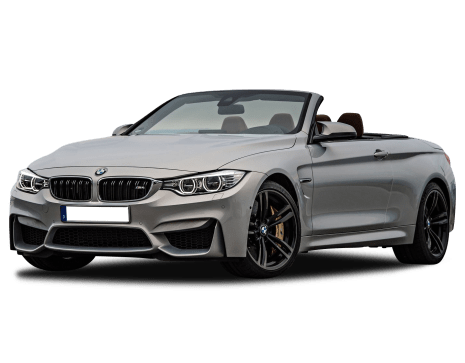 As well as dual variable camshaft timing, the engine features a water-to-air intercooler and cylinder deactivation, which allows it to run as a V6 under light loads. Drive goes to the rear wheels via a ZF-sourced eight-speed (torque converter) auto transaxle with column-mounted paddles, recalibrated for faster shifting in more aggressive Sport and Sport+ modes. A limited-slip differential is standard. 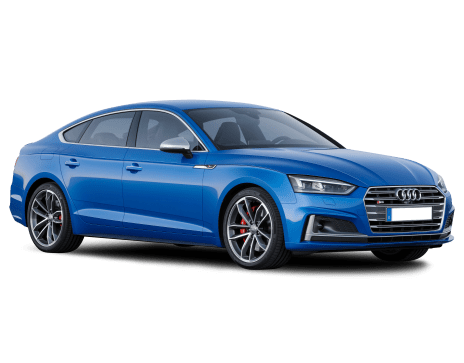 The RS 5 Coupe’s 2.9-litre V6 is based on the S4’s 3.0-litre unit, featuring a shorter stroke, and two turbos rather than a single, twin-scroll unit. 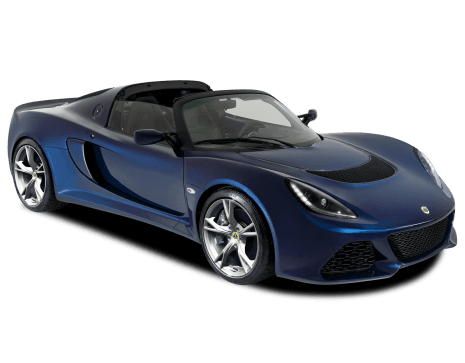 It’s an all-alloy design, featuring direct injection, variable inlet valve adjustment, continuous camshaft adjustment, and drive-by-wire throttle control. 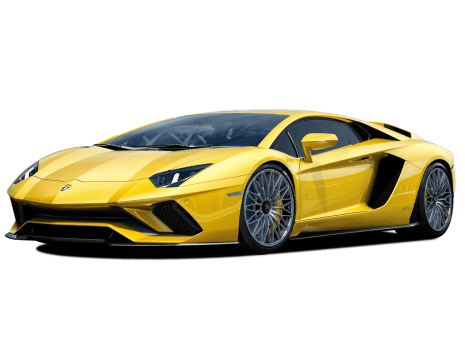 With the turbos sitting inside the engine’s 90-degree V, the distances from the exhaust side to the turbos and then from the turbos to the inlet side are short, so they spool up quickly and boost power rapidly. Maximum torque of 600Nm (+170Nm) is available from just 1900rpm all the way to 5000rpm, with maximum power of 331kW taking over from 5700 to 6700rpm (the latter number being the rev ceiling). The transmission is an eight-speed auto, taking over from the first-gen RS 5’s seven-speed dual-clutch because of the new car’s additional torque. It feeds power to all four wheels via the latest iteration of Audi’s quattro all-wheel drive system, with drive normally distributed 40/60 front to rear, but able to go as much as 85 per cent rear and 70 per cent front, with torque vectoring via the ESC system, and drive managed by a self-locking centre diff, and an electro-mechanical sport diff at the rear. Minimum fuel requirement for the DB11 AMR is 95 RON premium unleaded and you’ll need 78 litres of it to fill the tank. Claimed economy for the combined (ADR 81/02 - urban, extra-urban) cycle is 11.4L/100km, the big V12 emitting 265g/km of CO2 in the process. Despite standard stop-start and cylinder deactivation tech, in roughly 300km of city, suburban and freeway running we recorded a figure exactly nothing like that, according to the on-board computer we more than doubled the claimed number on ‘spirited’ drives. The best average figure we saw was still in the high teens. Claimed fuel economy for the combined (ADR 81/02 - urban, extra-urban) cycle is 8.8L/100km, the RS 5 emitting 199g/km of CO2 in the process. Over 500km of twisting, central Tasmanian roads on the launch drive program, we averaged a dash-indicated 12.4L/100km, which represents some intense periods of ‘spirited’ driving, with a best of 11.9L/100km recorded on one slightly more sedate 120km city and outer-urban section. You’ll need 58 litres of 98RON premium unleaded to fill the tank. The moment you press the starter the DB11 begins a theatrical performance worthy of the Royal Shakespeare Company. 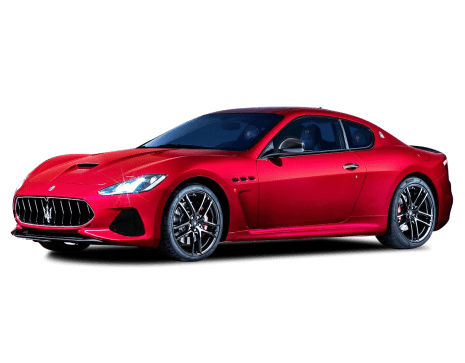 A high-pitched whine reminiscent of a Formula One air-starter precedes a raucous blast of exhaust noise as the twin-turbo V12 bursts into life. It’s spine-tingling, but for those wanting to remain on good terms with their neighbours a quiet-start setting is available. At this point, rocker buttons on either side of the steering wheel set the tone for what follows. The one on the left, marked with a shock-absorber graphic, allows you to scroll the adaptive damping set-up through Comfort, Sport, and Sport+ settings. Its ‘S’ branded partner on the right facilitates a similar trick with the drivetrain. So, throwing urban serenity out the window, we pushed into maximum attack mode for the engine, and by extension the exhaust, selected D and began to enjoy the first act. A launch-control function is standard, so purely in the interests of science we explored its function and can confirm it works exceptionally well. Aston claims the DB11 AMR will accelerate from 0-100km/h in just 3.7sec, which is properly fast, and two tenths of a second faster than the standard DB11 it replaces. Keep the pedal pinned and two things will happen; you’ll reach a maximum velocity of 334km/h and generate headline news across the country while making your way directly to jail. With 700Nm available from just 1500rpm, and remaining on tap to 5000rpm, mid-range thrust is monumental and the thundering exhaust note accompanying it is the stuff automotive dreams are made of. 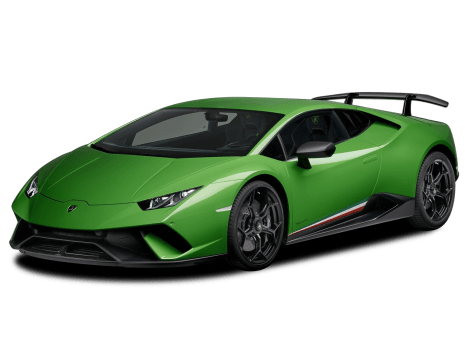 Peak power of 470kW (630hp) takes over at 6500rpm (with the rev ceiling sitting at 7000rpm) and delivery is impressively linear, without a hint of turbo hesitation. The eight-speed auto is simply superb, picking up gears at just the right point and holding on to them for exactly the right amount of time. Select manual mode and the slender shift levers on either side of the steering column allow even more control. In Sport and Sport+ drivetrain modes the howling exhaust is accompanied by an entertaining array of pops and bangs on up and down shifts. Bravo! The DB11 AMR is underpinned by an ultra-stiff bonded aluminium chassis, with a double wishbone front/multi-link rear suspension set-up attached to it. Spring and damper rates are unchanged from the previous DB11 and even on enthusiastic back-road runs we found suspension in Comfort and driveline in Sport+ to be the best combination. Flicking the shocks into Sport+ is best kept for track days. Steering is (speed dependent) electrically power-assisted. It’s beautifully progressive, yet pin-sharp with excellent road feel. 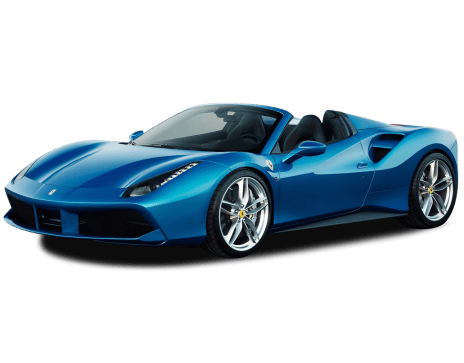 The big 20-inch forged alloy rims are shod with high-performance Bridgestone Potenza S007 rubber (255/40 front – 295/35 rear), developed as original equipment for this car and Ferrari’s F12 Berlinetta. They combine with the 1870kg DB11’s near perfect 51/49 front to rear weight distribution and standard LSD to deliver confidence-inspiring balance and ferocious power down on (quick) corner exit. 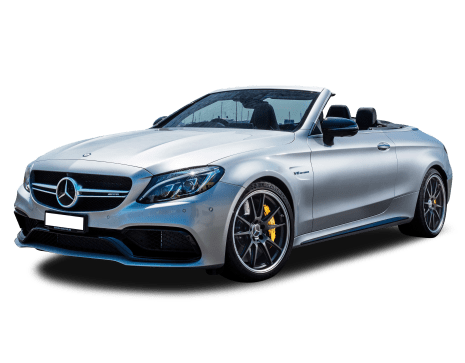 Braking is handled by huge (steel) ventilated rotors (400mm front – 360mm rear) clamped by six-piston calipers at the front and four-piston at the rear. We might have put them under decent pressure from time-to-time, but stopping power remained prodigious and the pedal firm. In the calm of urban traffic the DB11 AMR is civilised, quiet (if you prefer) and comfortable. The sports seats can be adjusted to grip like a vice at speed or provide more breathing room around town, the ergonomics are spot-on, and despite its striking looks, all around vision is surprisingly good. Overall, driving the DB11 AMR is a special event, flooding the senses and raising the heart rate no matter what the speed. 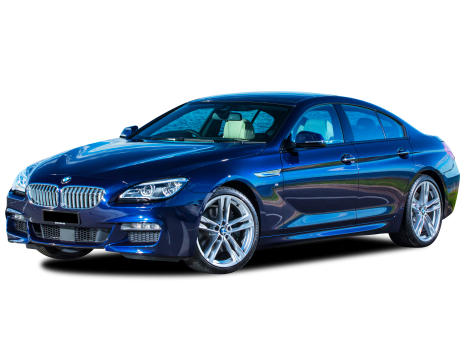 First impressions are dominated by the V6 twin-turbo engine’s mountainous torque. In fact, it’s less a peak and more of an imposing plateau, with 600Nm available across a broad spread from 1900rpm to 5000rpm. Maximum power takes over from 5700 to 6700rpm, so from go to whoa there’s monumental thrust lurking under your right foot. Audi claims 0-100km/h in 3.9sec, which is six tenths faster than the previous V8, with the RS 5 able to surge on to an electronically controlled top speed of 250km/h (280km/h with the limiter optionally removed). This car is a rocket. The eight-speed auto is smooth yet quick and positive. And in terms of the speed and definition of shifts, you’re not really losing anything relative to the seven-speed dual-clutch in the old RS 5. Suspension is a five-link design front and rear, the first-gen RS 5 using a trapezoidal link set-up at the back. This car’s lighter engine (a hefty 31kg down) improves balance with less weight on the front axle improving steering response and agility. Even at 1.7 tonnes, the car feels agile, planted, and puts its power down with reassuring authority. Damping is outstanding. Rubber is high-end Hankook Ventus S1 evo2s, and despite their 20-inch size, they are surprisingly compliant and quiet. And speaking of noise, the previous car’s atmo V8 was raucous music to any performance enthusiast’s ears, and somehow Audi’s managed to tune in its characteristic, guttural growl for this V6, mainly using flaps in the exhaust. Not quite as free and angry as the V8 it replaces, but satisfyingly gruff all the same. The engine and exhaust noise won’t be an issue if you’ve never heard the old one. This car sounds great, and the mid-range is so beautifully meaty, that on a twisting B-road a smile naturally appears on your face. ‘Drive Select’ allows tuning of the engine and gearbox, suspension, sport diff and exhaust. But beware the ‘Dynamic’ suspension mode, if you have fillings they’re likely to rattle free. Best left for track days. The (electro-mechanical) steering feels great, with linear response, and road feel is also good. Overall, the RS5 Coupe delivers a truly involving drive experience. The brakes are pretty much professional grade, with big six-piston calipers up front and two-piston floating calipers at the rear. Rotors are ventilated and perforated all around (375mm front / 330mm rear). If you’ve got a lazy 12 grand burning a hole in your pocket you can add the carbon-ceramic package, but the standard brakes are fantastic, and you’d have to be a dedicated track-day fanger to need them. Big speed demands serious active and passive safety, and the DB11 comes up short on the former. 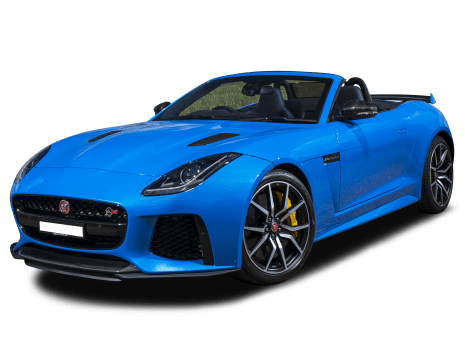 Yes, there’s ABS, EBD, EBA, traction control, Dynamic Stability Control (DSC), Positive Torque Control (PTC) and Dynamic Torque Vectoring (DTV); even a tyre-pressure monitoring system, and the surround view cameras. But more recent crash-avoidance tech like active cruise control, bling-spot monitoring, lane-departure warning, rear cross traffic alert, and especially AEB, are nowhere to be seen. Not great. 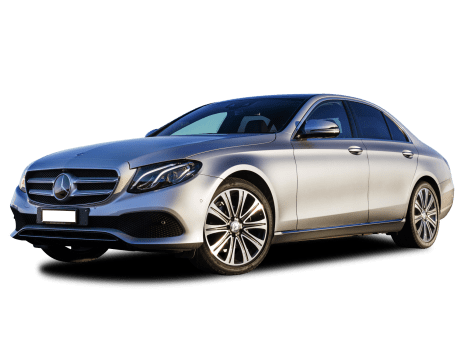 But if a crash is unavoidable there’s plenty of back-up in the form of dual-stage driver and passenger front airbags, front side (pelvis and thorax) airbags, as well as curtain and knee airbags. Both rear-seat positions offer top tethers and ISOFIX anchors for baby-capsule and child-seat location. The DB11 hasn’t been assessed for safety performance by ANCAP or EuroNCAP. The RS 5 Coupe doesn’t leave much on the table when it comes to active and passive safety. 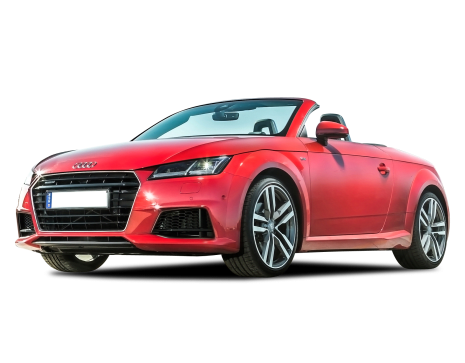 Attention assist, ‘Audi pre-sense city’ (with AEB and pedestrian detection), ESC (with electronic wheel-selective torque control), ABS, ASR, EDL and Brake Assist are all standard. There’s also a tyre-pressure-monitoring system, adaptive cruise control (including a distance indicator and speed limiter), active lane assist, ‘Audi parking system plus’ (front and rear with visual display), ‘Audi pre-sense front’ (provides collision mitigation up to 250km/h), blind-spot warning, collision-avoidance assist, rear cross traffic assist, turn assist (monitors oncoming traffic when turning right at low speeds), an exit warning system (detects cars and cyclists when opening doors), and auto high beam. 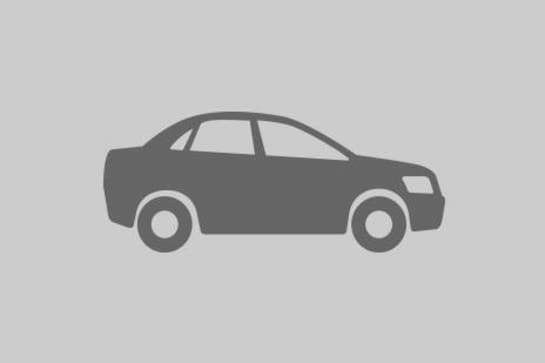 And if all that’s not enough to help you avoid a crash, there are six airbags on board (front airbags for driver and passenger, side airbags for front passengers, and head-level curtain airbags for front and rear). 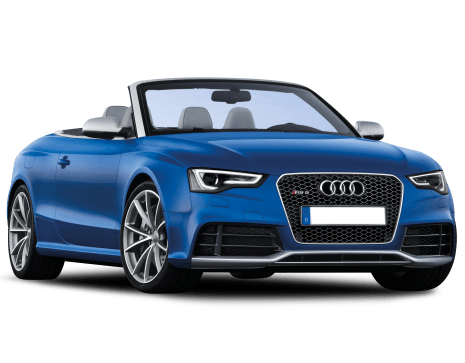 There are ISOFIX anchor points and top tethers for the two rear seat positions, and the Audi A5 Coupe (and therefore this RS 5 Coupe) scores a maximum five ANCAP stars. While Kia leads the mainstream market with a seven-year/unlimited km warranty, Aston Martin sits further back with a three-year/unlimited km deal. Audi provides a three year/unlimited warranty, with three years paint cover, and a 12-year rust perforation guarantee. ‘AudiCare’ 24-hour roadside assistance is complimentary for three years. The recommended service interval is 15,000km/12 months, and the ‘Audi Genuine Care Service Plan’ is available to cover scheduled servicing for three years/45,000km (whichever comes first).